ISLAMABAD/QUETTA: Balochistan Chief Minister Mir Abdul Quddus Bizenjo called on Prime Minister Shahid Khaqan Abbasi on Wednesday and discussed law and order situation and development projects in Balochistan. “Overall situation in the province and developmental projects were discussed during the meeting,” an official press release, issued by the Prime Minister’s Office after the meeting, said. Speaking on the occasion, the prime minister said that socio-economic development of the people of Balochistan was the top priority of the federal government and it would continue to provide every possible support to the provincial government for the purpose. 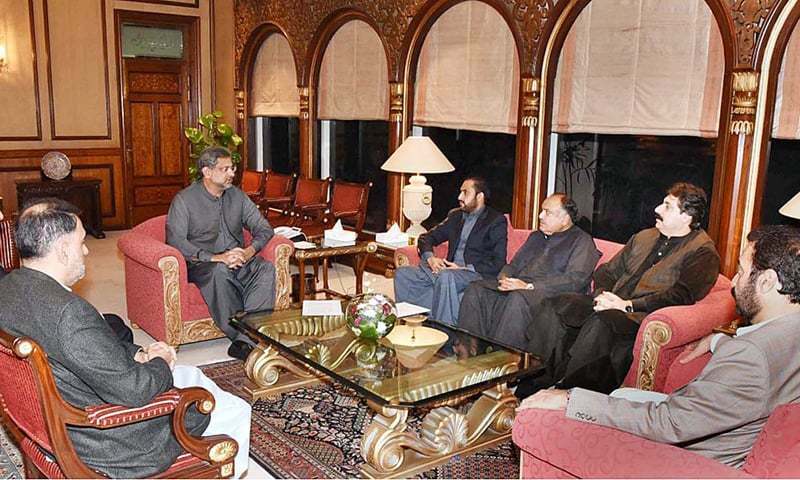 The Balochistan chief minister thanked the prime minister for the meeting and for assuring him of the resolution of the problems the province was facing. Earlier, Mr Bizenjo, while speaking at the conclusion of the 13th course of the Balochistan Institute of Technology in Quetta, underlined the need for taking steps to reduce unemployment in the province through industrialisation and promoting skilled manpower. “The youth of the province are our big asset and by teaching them different skills and by turning them into skilled manpower, we can change not only the fate of the youth, but also of Balochistan and Pakistan,” the chief minister said. “If we achieve the goal of giving better and modern education and training to our youth, the pace of development of the province would also speed up,” the chief minister said. He said the youth were assets of the province and the government would do its best to end their sense of insecurity, deprivation and economic imbalance. The chief minister said that Balochistan, despite having huge natural resources, was facing a lack of skilled manpower which was badly retarding the development of the province. “It is the right time that we make ourselves skilled and improve the standard of our education and training which will benefit the youth of the province not only in the country but also abroad,” he said. He lauded efforts of the army for reviving the Balochistan Institute of Technology and making it functional on modern lines and providing the youth with opportunities to make them useful and better citizens. He asked students completing their training in the institute to tell other young men in their respective areas about the importance of skilled manpower and benefits of it.